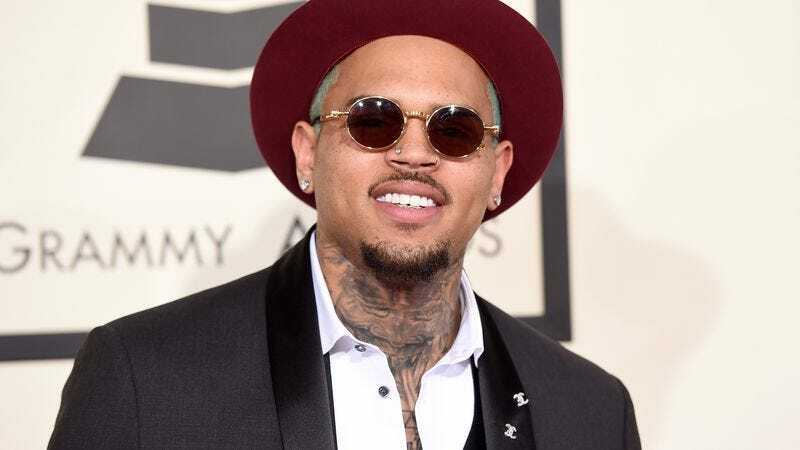 If you’re the kind of person who keeps their eyes peeled for provocative talk show guests, you might have read that singer Chris Brown was scheduled to appear Tuesday night on The Daily Show With Trevor Noah. And if you were then interested or otherwise compelled to watch the episode, you undoubtedly noticed that Trevor Noah actually chatted up America’s Got Talent host Nick Cannon. And, as pressing as it might have seemed to discern which talent Cannon possesses exactly, it wasn’t the reason for the old switcheroo. On Monday, The Daily Beast reported the Daily Show staff was divided over whether Brown should appear on the show. Some TDS staffers had been staunchly opposed to featuring the singer, who in 2009 was convicted of felony assault against former girlfriend Rihanna. Their objections were probably motivated by Brown’s questionable non-apology tour following the incident, in which he stormed off of sets (but only after damaging them), or his perceived lack of remorse in the six years since. So how did Brown even get booked? Well, Noah himself was pushing for the interview, claiming he was going to take the opportunity to talk to Brown about domestic violence. Noah and his mother are survivors of domestic abuse, and the host reportedly felt that talking to the less-than-repentant Brown about the matter would provide for a thoughtful discussion. But he was ultimately outnumbered by the number of dissenting voices, and Cannon was quietly brought in to replace Brown. There are, of course, some people who questioned the appropriateness of Noah interviewing Brown, and have referred to the Akashic record that is his Twitter account. Jezebel notes Noah has made multiple deplorable jokes in tweets that were inspired by Brown’s assault, including comparing his allergy-afflicted face with Rihanna’s swollen countenance post-attack, as well as suggesting that maintaining your faith in your underperforming soccer team is not unlike Brown being forgiven by his victim.